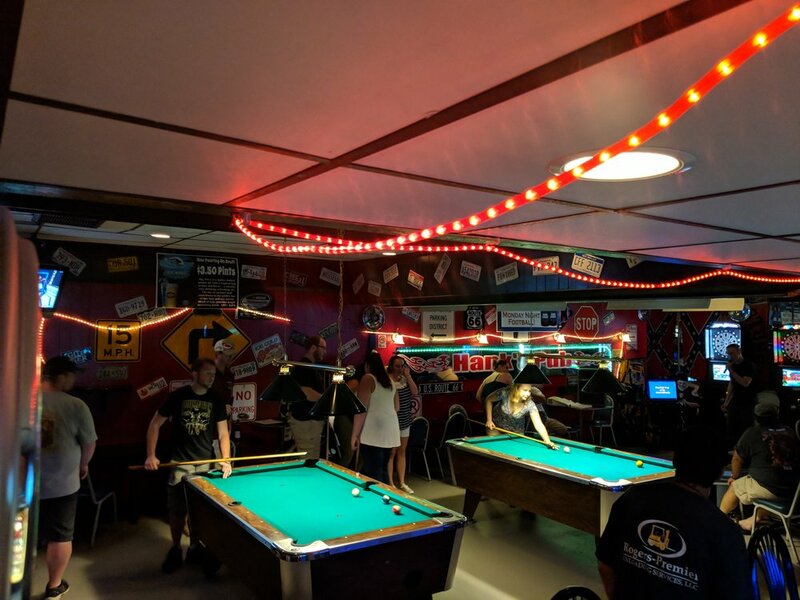 Our Hank’s Pub pool team “Off Constantly” plays on the Southern Amusements Men’s and Women’s Pool League every week. The league puts all the dues and sanction into prize money and adds $25,000 in Las Vegas trips to play in a tournament. We would love to add another team of 5 players to our roster so if you and some friends want to shoot some pool and have fun let us know! Our weekly pool tournaments with 100% payout are a great way to hone your skills during competition in a relaxed fun atmosphere. Single or Double Elimination depending on how may players we sign up. Sign up early so we aren’t full on Sunday afternoon. Come out and practice for our tournaments while having one of our lunch specials or a great item from our menu. Free pool for an hour during your lunch hour between between 11 and 2.